Mazda CX-8 Sport FWD review: Why it's the SUV you can grow into. ROAD TEST: "My weekend away didn't go to plan, but I could rely on the Mazda CX-8 Sport FWD." When it comes to the idea of jumping out of a plane, it’s safe to say you want things to run as smoothly as possible. Yet when it came to a weekend away for my partner’s 30th birthday present, what was meant to be an exciting experience quickly turned into an emotional rollercoaster. We were all set to go skydiving over the beach in North Wollongong at 11am last Saturday. But when the clouds started to roll in and thunder and lightning began to fill the sky, that’s when the text messages from Skydive Australia started. It was on hold, then it was on, then it was on hold again and finally… on again. But while the start to our trip was filled with some ups and downs, there was at least one thing we could rely on. 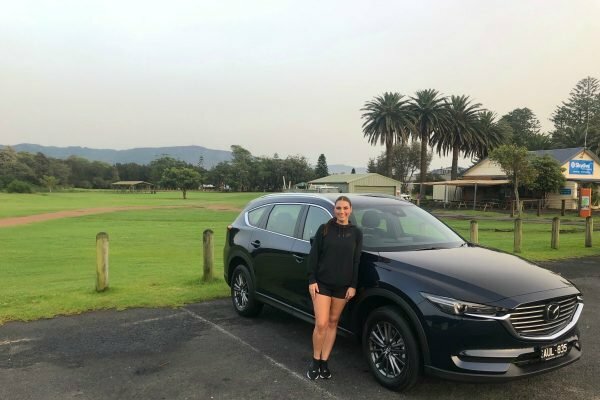 The Mazda CX-8 Sport FWD, which launched to the Australian market earlier in the year, to get us there. 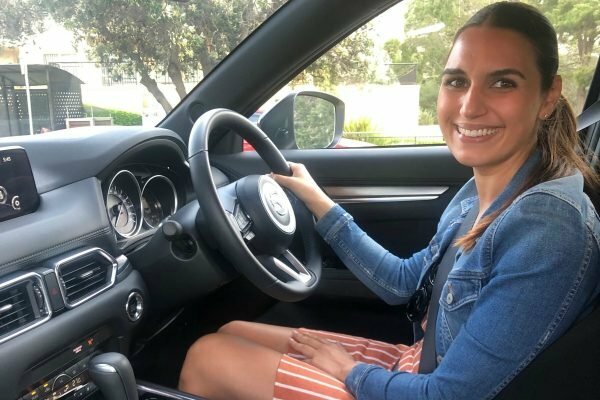 My partner and I were lucky enough to have the car to take for a spin during the trip and it’s easy to see why it’s the new industry leader in family vehicles. Sitting inside the Mazda CX-8 Sport FWD feels... luxe. Image: Supplied. Sitting inside the Mazda CX-8 Sport FWD feels... luxe. It&apos;s an SUV so you feel high off the ground, kind of like royalty. It has a high-quality look and feel throughout and you can tell only premium materials have been used. The first thing you notice when you sit in a Mazda CX-8 Sport FWD is how spacious it is. It feels like you’ve been given the special seat on the plane with the extra leg room. It’s an SUV so it feels like a big, luxurious car, but don’t be fooled because no interior space is wasted. It’s also a premium seven-seater but if you don’t have that many people to get around, the space doesn’t go unused. It’s perfect for those fur babies (yes, they&apos;re family too) you’re taking to the park or beach. But if you do happen to be planning to start a family, it&apos;s definitely the SUV you can grow into. The first thing you notice is how spacious it is. Image: Supplied. The boot space is unparalleled and if you have big or bulky items, the back seats fold down, providing you even more boot space. Genius. And I definitely filled it up with Christmas shopping on our weekend away. The best part was we didn’t need to worry about having enough space for our luggage and the shopping. It all fit like a breeze and there was still room to spare. But if you needed even more space, guess what? There is a sub-boot below the main boot floor which is especially great for expensive or fragile items. Fancy. Direction is definitely not one of my best qualities, but with Mazda&apos;s inbuilt GPS accessed by the infotainment screen and active driving display, that doesn&apos;t matter. Tapping your destination into the infotainment screen is simple and the active driving display does the rest. It beams the speed limit, your current speed and the next turn you need to take onto the windscreen in your line of vision, for real. You honestly don&apos;t need to do anything but follow the arrows. The reverse camera makes parking a dream. Image: Supplied. In traffic, the blind spot monitoring will alert you if you&apos;re planning to change lanes and someone is in your blind spot. No need to double check over the shoulder and take your eyes off the road. Win. 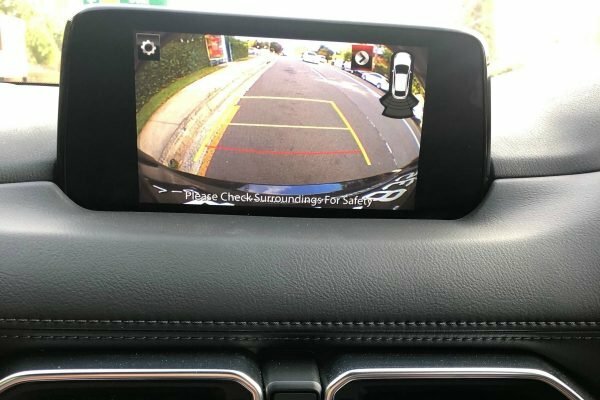 And the reverse camera also makes parking a dream, especially if you&apos;re trying to fit into tight spots of car parks. If you still get too close? No need to worry because the parking sensors have your back. The Mazda CX-8 Sport FWD has a Bose sound system too, which makes pumping the tunes or listening to your podcasts on your drive all the more fun. I&apos;m sorry, but where has diesel been all my life? For the entire weekend away to North Wollongong and all of the little trips in between to the shops, to restaurants, to see the scenes and everything else, we barely made a blip on the fuel gauge. My partner&apos;s exact words were, "How did we not even use one-sixth of the entire tank?" And honestly, the only answer I have is Mazda magic. The Mazda CX-8 is only available in diesel and it&apos;s easy to see why. We left with a full tank and filled up just before dinner on our return home on Sunday evening. The fuel only cost us $25. That&apos;s right, $25 for an entire weekend away. At that rate, I&apos;d say you could get away with filling up maybe once a month, if that. So did we survive the skydive? After the chopping and changing (thanks weather) my partner and I jumped out of a plane at 6am last Sunday, on the first jump of the day. And while the weekend kicked off with some uncertainty, there was no question that the Mazda CX-8 Sport FWD was there for us at every turn. The Mazda CX-8 Diesel is available in three model grades; Sport FWD, Sport AWD and Asaki AWD and starts at $42,490. For more information visit the Mazda website. 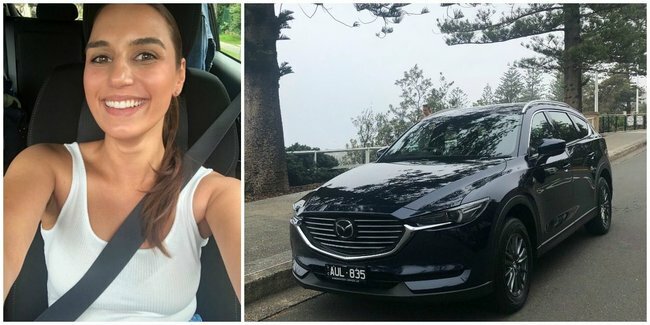 Valentina Todoroska road-tested the Mazda CX-8 Sport FWD as a guest of Mazda.